In photography, it’s important to push your boundaries, challenge yourself. Look at things differently; think about lighting, angle, composition. Adjust your focus. In general, my photos tend to be light and airy, bright and colorful for the most part. So it was quite a challenge to attempt the first photo assignment given by our gifted instructor, Ilva Beretta, at the Plated Stories workshop. I drew from the pile of folded slips of paper on the table. Mine was marked with the word Spring. Perfect, I thought. Easy. I can do this. Spring is bright and cheerful. But no! We were tasked with breaking out of our comfort zones. How can we reconsider our chosen theme? How can we see it anew-look at it from a different angle, adjust how we light the set, create tension in the composition? We were to use a style completely different than the one we had become accustomed to. Spring. Dark and moody. Complete opposites. Unless there are thunderstorms. But then it’s all rainbows and sunshine afterward. This is going to be tough. There were many props to choose from. There were plates, bowls, platters, boards, linens and flatware of all sizes and colors. Many items were kindly brought by several of the participants of the workshop for others to share. There was also much food- various fruits, vegetables, cheeses, sausages, eggs and breads-lots of colors and textures to use. The kitchen could hardly contain the abundance of the bounty that was provided for our use. We each took items that inspired us and went off to shoot our photos. 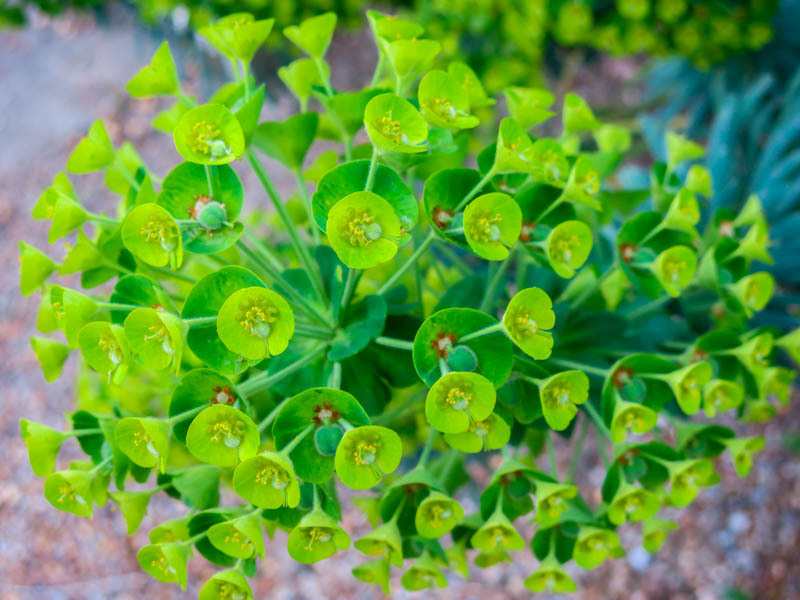 I chose a Spring favorite, green peas in their pods. I cracked a few of the pods open and sampled the sweet new peas, then I created my set. 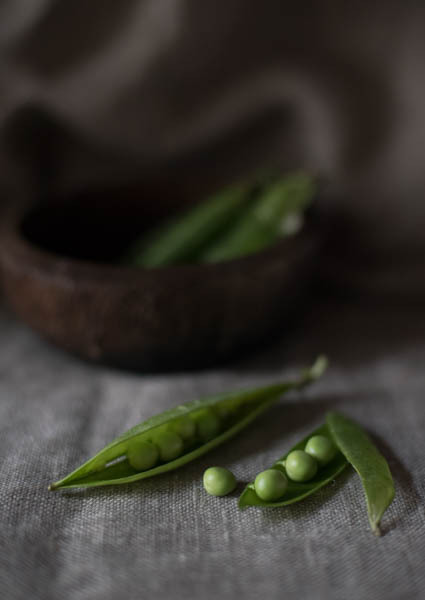 I chose a grey linen cloth and draped it over a board with a beautiful dark wood hand carved bowl to hold my peas. Some used the lush gardens that surrounded the beautiful Hotel Diderot, others chose windows they felt gave them the best light. Still others, like myself, would choose a small space in the kitchen that would serve our needs. Ilva spent quite a bit of time with each of us- watching us, suggesting different angles and additions or deletions of composition elements, guiding us through our assignment and helping us create the best possible photos. Once the time was up and we were finished shooting, we gathered back at the table where we edited our photos and narrowed them down to just one photo each. This was the hardest part, the cutting back of a hundred photos to just one shot that you considered the best of the lot. 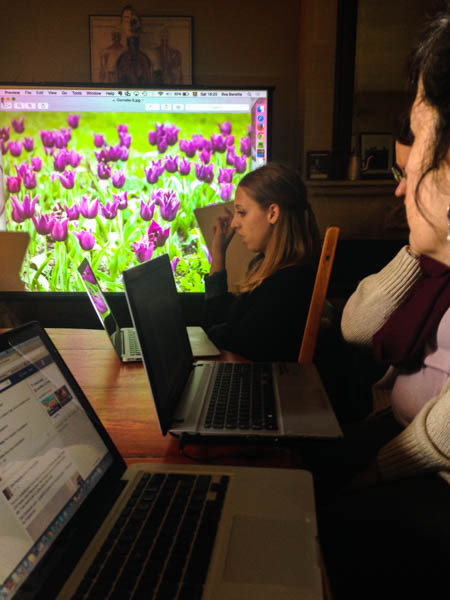 We passed around a thumb drive for Ilva to display the chosen ones on a large projector screen for all to see. There were beautiful, stunning images shown. Everyone really worked hard to create the best shot for their given theme. We each critiqued and were critiqued. Every instance was very constructive, thoughtful, and helpful. It was also very supportive. There is a fine line between critique and criticize, yet the warmth and honesty of the other women in the group never tipped the scale towards being critical. Each lesson we gleaned from one another can be considered and implemented into our own individual methods. There was an overwhelming sense of sharing and camaraderie. Another exercise was to create a narrative with photos- a series of two or three images- used to convey a story. It’s far easier to narrow a hundred photos to three than to just one. I will get the hang of this condensing and curtailing thing at some point. But I still find that to be hard to do. I really liked the simplicity of creating a series based solely on one ingredient. 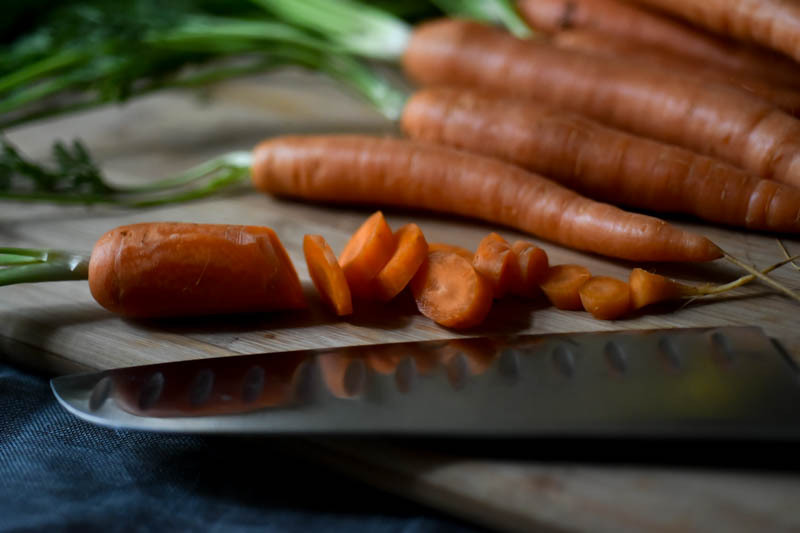 I could easily add a recipe that calls for sliced carrots and tell a story about the trip to the market where we picked them up from. 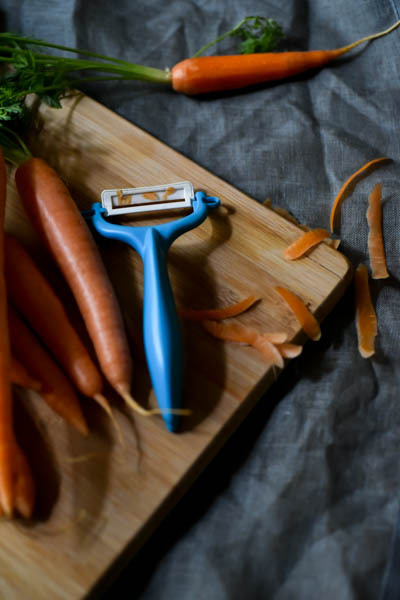 Or maybe even tell a story about the knife or the peeler. There could be many tales to tell all revolving around a simple carrot. It’s a way to think of things in a different light. The photography part of the workshop was easy for me. The writing part was hard work. Aside from the valuable lessons about my own creative process, as a visual person, learning how to describe what you see without the benefit of a lens was the ultimate challenge that required even deeper concentration and more acute awareness. Not to mention a notepad and a pen. 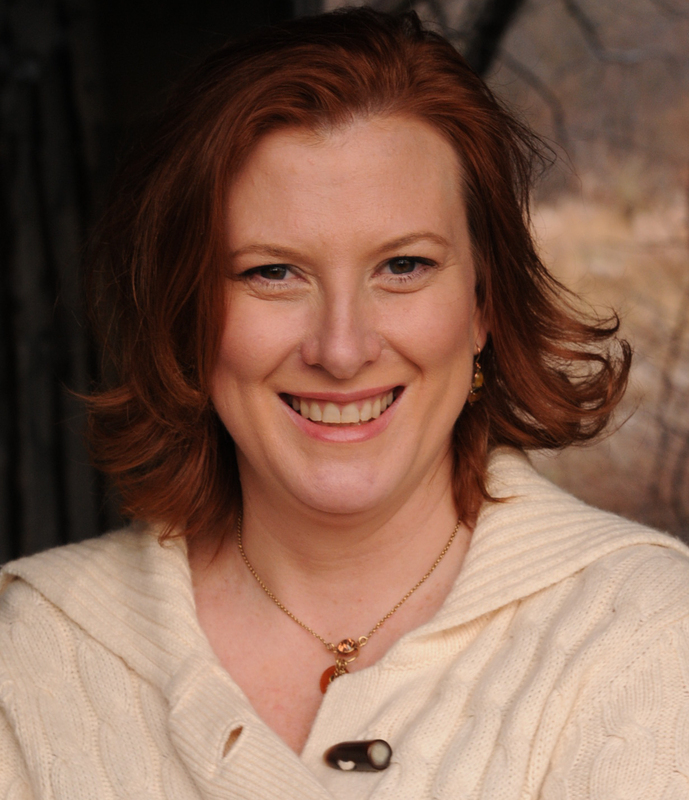 But Jamie Schler, the talented and inspiring writer behind Life’s a Feast and Plated Stories patiently and generously led our every step. She coached and coaxed words from each of us and provided immeasurable feedback and valuable insights to help us craft our stories. While certain nuances are easy to pick up with a camera, smells, sounds and movement are much harder traits to capture. To see something verbally and have the ability to conjure a sense of place requires a mix of skill and endurance. Writing, editing, rewriting, editing some more, and rewriting yet again. You need to have patience and stamina. 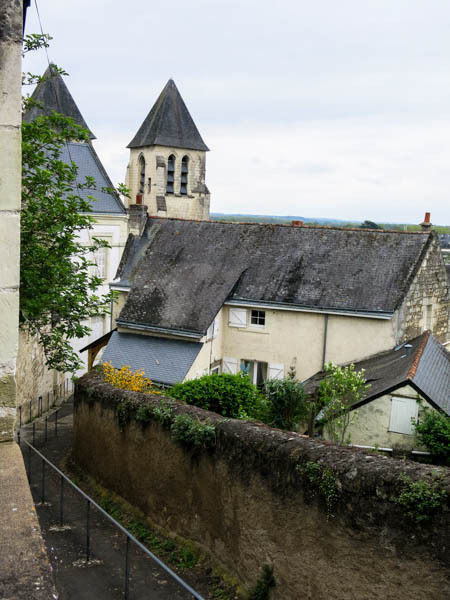 Interestingly, as I spent more time with my pen in hand, each time I went out into the streets of Chinon, the more I wrote and tried to paint with words the scenes I was viewing. It’s been a long time since I wrote in this fashion instead of the dry, journalistic version of who, what, when, where and why. All of these exercises were meant to elicit creativity in and from us. 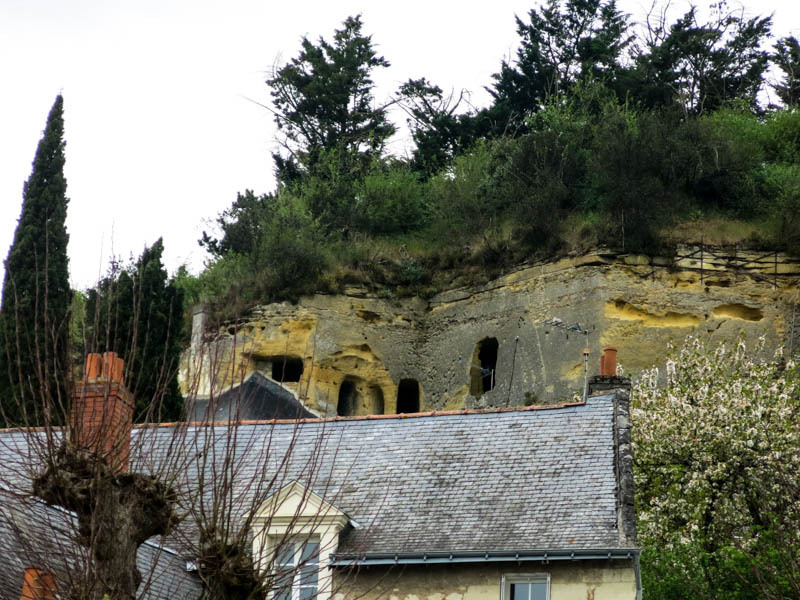 I left Chinon with several short writing pieces and a thousand photos. She’s always been a bit of a radical, while everyone ventured down the hill to the center of town for their assignments, she turned and went straight up the hill. To the top was her goal. Past the old church with its modern stained-glass windows fitting, just barely, into ancient sills, up a steep narrow path surrounded by sweet-scented purple lilacs and an old hand railing. It was a steep climb that slowed her down after the first few yards. Pausing midway to take in the view and to even out her breathing, she set the alarm on her watch, so she would know when to turn back, estimating the time it would take. It was in sight but distance can be decieving. On the right were homes built directly into the side of the crumbling hill. It looked as though several had disintegrated under the weight of rocks and golden clay mud that had tumbled down the sides and all that remained were some stone steps leading into dark, shallow caves. 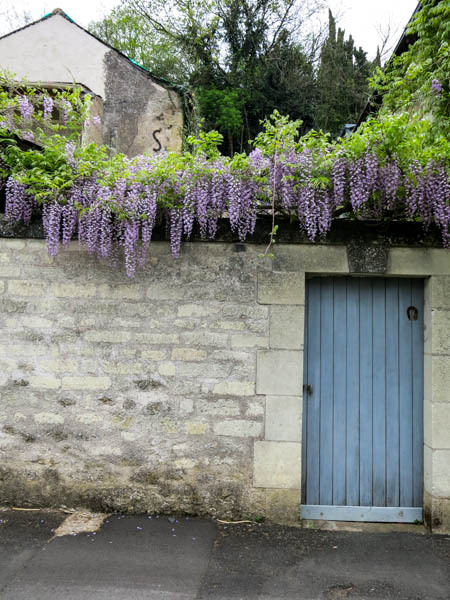 Others homes were well maintained and very modern, half hidden behind tall gates draped in purple wisteria. To her left, a small vineyard had been fashioned into a few terraced steps below the path. Pale yellow blossoms framed the view overlooking the River Vienne and fields of bright yellow colza spread across the far horizon. It was a good place to pause. At a fork in the path was a bench, where many others may have stopped and rested a while before continuing on, but there was no time for that now. The path continued winding upwards, a good ten minutes walk before flattening out near the top. 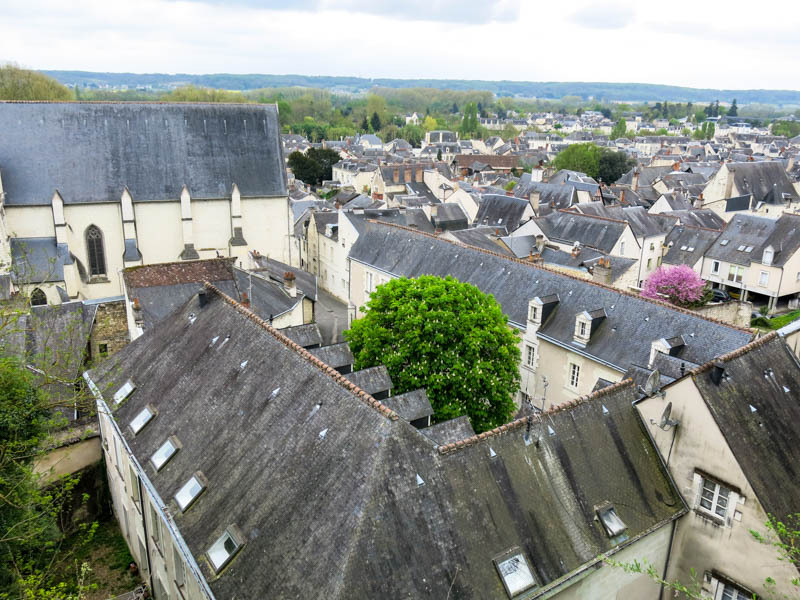 There were views of the entire town, the peaked rooftops and the backyard gardens below. You could even see the monument of Francois Rabelais, the French Renaissance writer, doctor and humanist that had been erected by the river. 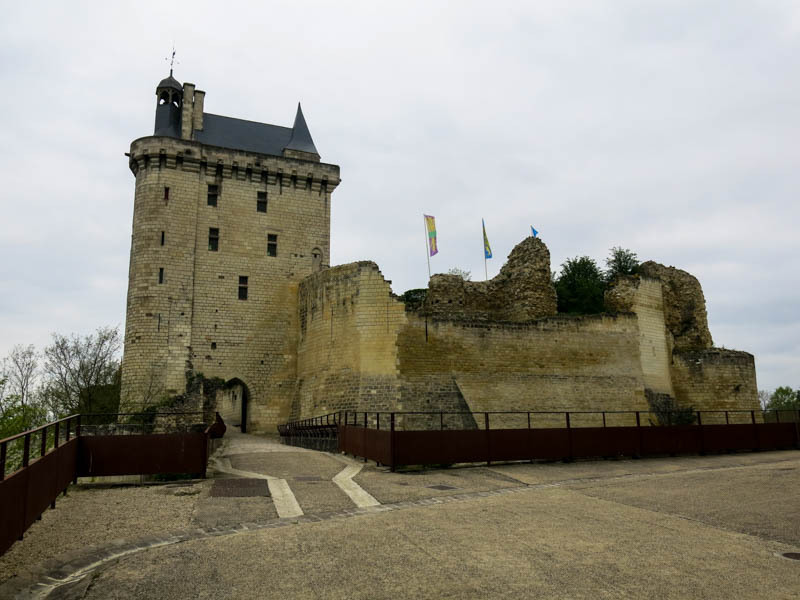 At the end of the path lies a great 10th century fortress, built by the Count of Blois, Thibaut I, commanding a strategic vantage point to survey the valley below. 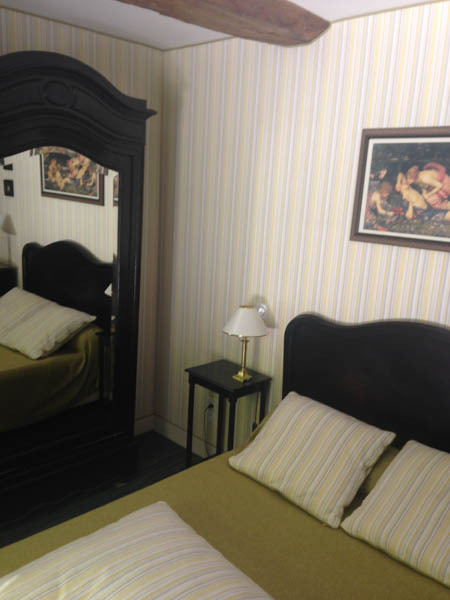 It was here that a historic meeting took place between Joan of Arc and the future king Charles VII. Sadly, just as she arrived to the gates of the fortress, her alarm buzzed.There was not enough time to wander the grounds of the castle or enter into the chateau. She had just one hour to explore, write her visual study and get back to the hotel. She snapped a few photos, turned, and catching her breath, started on the path back down the hill. It would soon be time for dinner. Being the radical that I am, I, of course, took photos of some of the things I described in my story. On the way back down the hill. 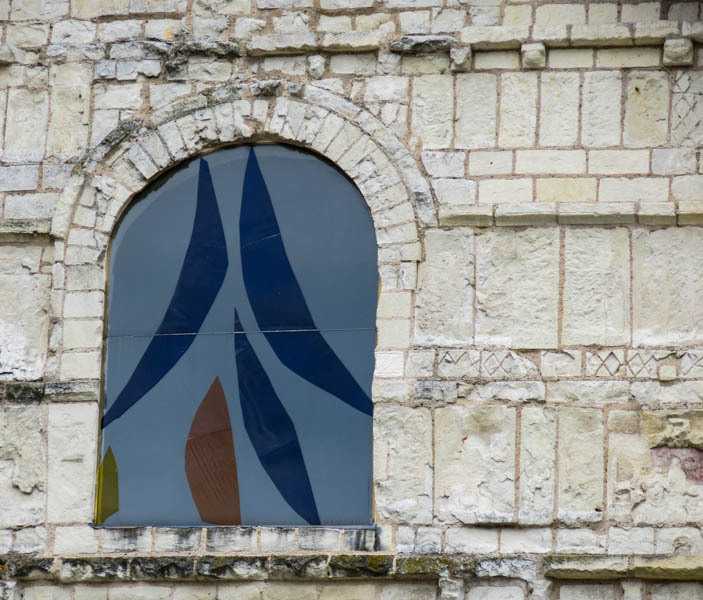 If ever there were a place to become inspired, it is in France. Artists, poets, and writers have all flocked to Paris for centuries in search of inspiration. 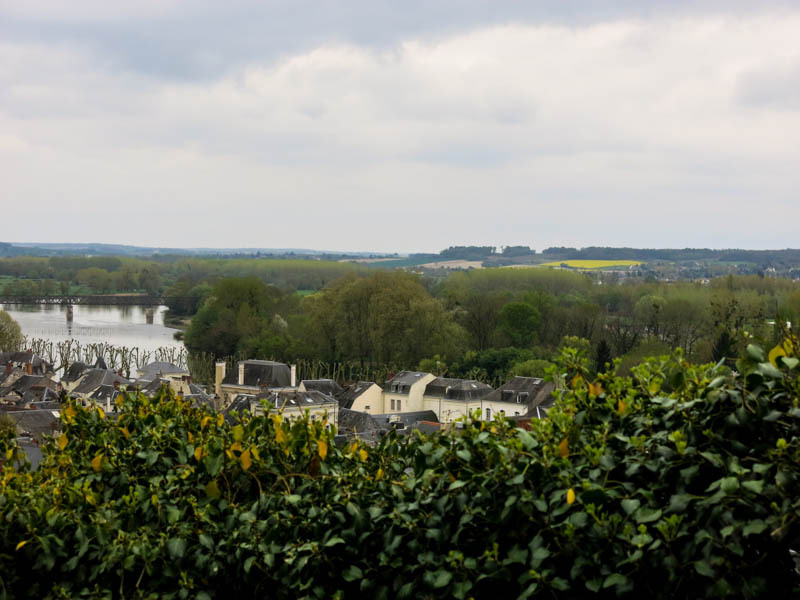 And while Paris certainly conjures up a multitude of inspiration inducing thoughts, there is a small city in the Loire Valley along the banks of the Vienne River where Kings held court and where Joan of Arc convinced the future King Charles VII to send her to the siege of Orléans. It is also where a group of six women from around the world gathered this April to learn and gather seeds of inspiration, now planted and growing in ways we could not have imagined before. 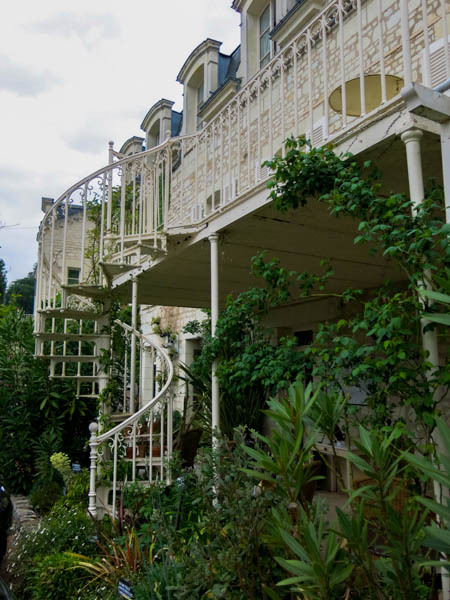 Longtime favorites, the exceptionally talented writer, Jamie Schler and the brilliant photographer, Ilva Beretta, both of Plated Stories led their first workshop of the year in Chinon at the charming Hotel Diderot, which Jamie now co-owns with her husband, Jean-Pierre. 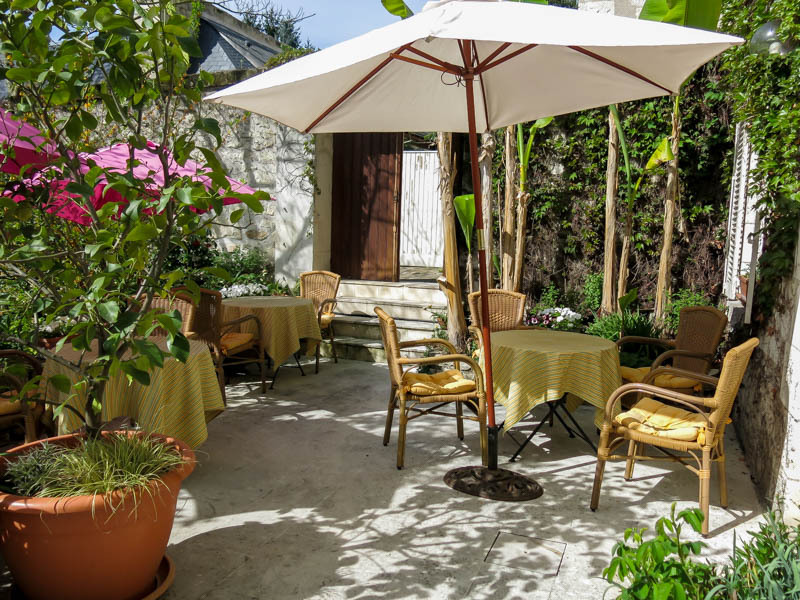 Back in January when Jamie first posted about holding the workshop in Chinon, I googled the city and the hotel and immediately said out loud, “I am going to this!”. The winter dragged on endlessly, I got sick with strep throat, work was very busy, my blog was neglected and there was no inspiration in sight. But I just knew, once I was in France, all that would change. The hotel itself provided a picture perfect backdrop for this insightful and inspiration filled weekend. 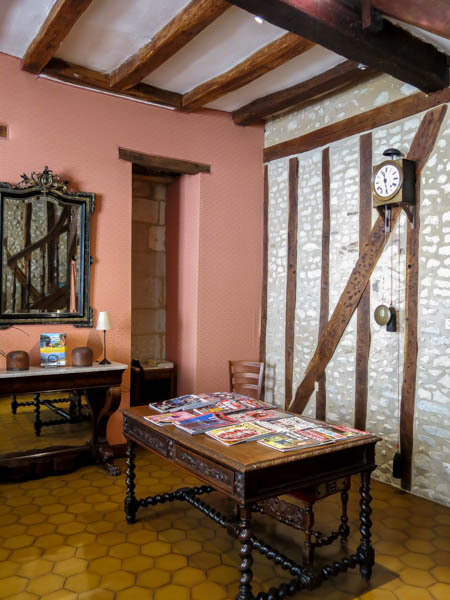 Housed in an enchanting historical 15th-century limestone mansion, the hotel maintains many of its original features such as stone walls and exposed beams but it also has recently upgraded guestrooms. 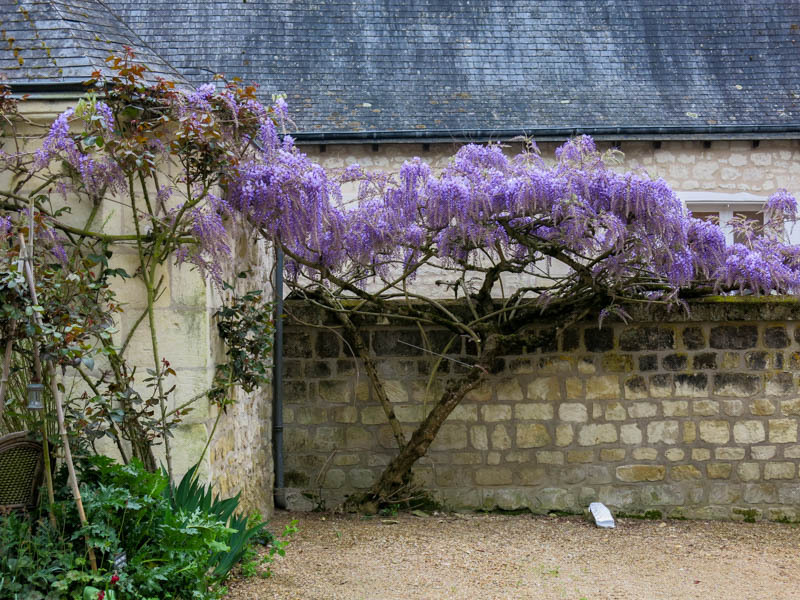 There was a lovely garden with beautiful blooming purple wisteria, spurge euphorbia, clematis Montana and other flowers surrounding the cozy terrace- a spot where I spent quite a bit of time just relaxing and breathing in the lightly scented floral air. Throughout its history, the hotel has become famous for its spectacular breakfasts; offering a large selection of homemade jams served with delicious French bread, brioche and croissants. Now, Jamie is taking over the time honored tradition of jam-making and the flavor combinations are incredible! My personal favorites were the tropical, bright and lively Passion Fruit Tutti Fruitti, the not too sweet Bananas with Vanilla and Ginger and the tart-sweet Strawberry Rhubarb. There was also a velvety Blueberry jam and a Summery Peach jam that when spread on brioche, would make your head dizzy with delight! 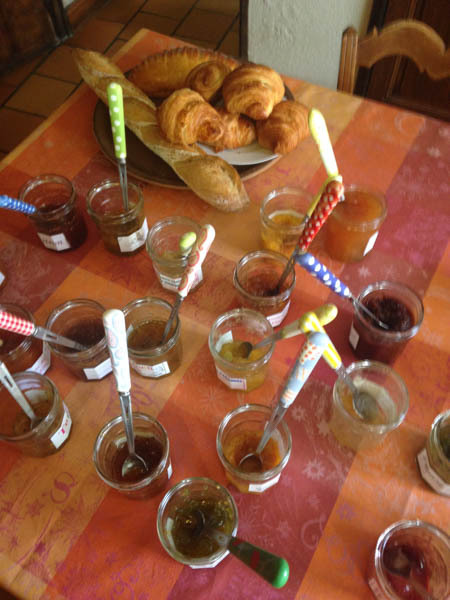 There were too many jams to choose from, but half the fun was trying a bit of each one every day during my stay. Not to leave out the wonderful locally produced fresh goat cheese, yogurts, and honey too that Jamie picks up from the weekly market in the town square. But the jam was the shining star of the show. One of the best ways to improve yourself is by observing the habits of those you find to be inspirational and talented and learning what makes them successful and applying what you learn to your own creative process. What I gleaned from both Jamie and Ilva during this workshop is invaluable and I have already begun using the kernels of wisdom they imparted to us in my own workflow. Of course, we all work differently, but one thing I learned from Jamie was to accept and embrace certain aspects of my own creative process. What I felt was a hindrance before is actually just part of how I work. I have also learned since, it is actually how a lot of people work- even those I think are so gifted and talented that it must be easy for them. It helps knowing I am not the only one who works this way and there is hope for me yet! For instance, I tend to do a lot of research before I write about a subject. Sometimes, I think this research is just “busy work” that I create for myself and I should just get on with the writing part. In actuality, it is part of my process- I like being very informed about a subject before I write about it. Partly because if anyone asks me something, I will be educated on the subject, and partly because it is what gets me the best end result. The “busy work” is just my way of becoming familiar with the topic so I can write about it well and earnestly. One of my favorite parts of the photo session lessons were the critiques- rather than say “it’s a nice photo” as so many do in critique sessions, there were actual useful tips, such as how to light the set, ways to adjust the composition to give a photo more appeal and where to crop the pictures. The hardest lesson was learning how to, painfully, cut back to just one or two images. With the advent of digital images, it’s easy to snap eighty shots of a set but it’s very hard to choose just a few of the best shots! Over the course of the weekend, we were given several assignments that both challenged and excited us. They were designed to inspire and stimulate our creativity. I was left in awe of the work the women around me created; beautiful language and stunning imagery. I was deeply inspired by each and every one of them. Over the next few days, I will share more of these assignments; what we did, plus what we ate and where we went. 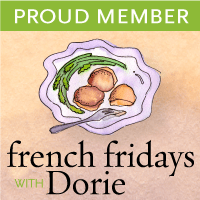 Garbure from the Supermarket is the title of this week’s French Fridays with Dorie recipe. 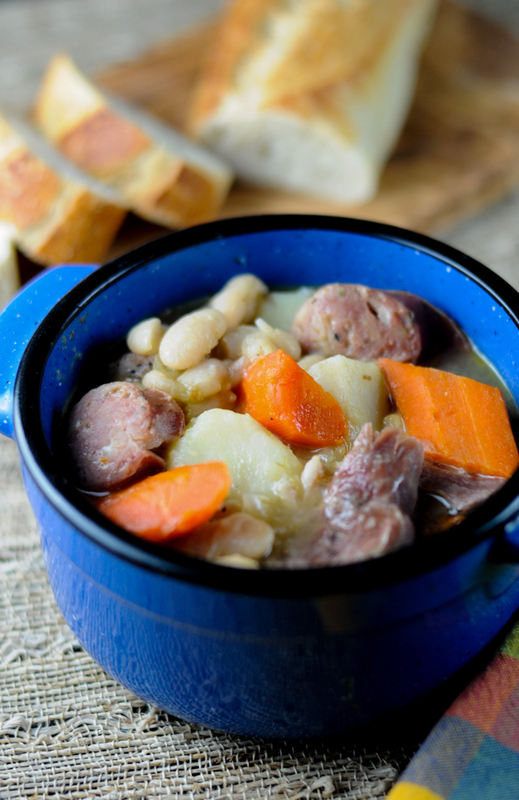 While Garbure is essentially a French peasant stew made with ham, sausage and loaded with root vegetables, beans and cabbage, this hearty white bean stew is enriched with duck confit. Thankfully, there is a large “gourmet” supermarket nearby, as my local supermarket most certainly does not carry duck confit. I always find it interesting that the lowliest of dishes that was once a staple among peasantry has become gourmet fare. Of course, I can understand why- it’s satisfying and delicious! Perfect on a cold day or if you need to feed many hungry people. Garbure originated in Gascony in southwestern France, and very closely resembles potée and pot-au-feu. You could almost imagine how each Gascon household had their own recipe, adjusting for the mix of vegetables they had harvested or the meat they had preserved. Interestingly, the area of Gascony itself is well known for its wine and food-its home to foie gras and Armagnac brandy. It’s also known for it’s Basque influence. One of the ingredients on this recipe’s list, Piment d’Espelette, is an AOC chili pepper that is cultivated in the commune of Espelette. The pepper is harvested in late summer and can be seen hanging on balconies, sheds and house walls throughout the communes to dry out. I thought I had a photo of some of them from my Camino to share, but it turns out that of the over 5k photos, not one was of the peppers I saw hanging (at least not in the batch I looked through!). 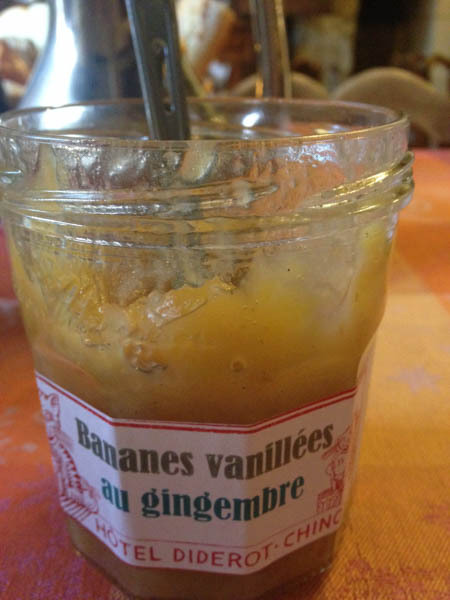 I realize now that I should have bought a jar there but I actually bought my jar of Piment d’Espelette here. Add it to the list of items I need to bring back in my suitcase next time! This stew was just as fulfilling and appetizing as you’d expect and I am sure it will get better as the week goes on. Which is a good thing, because I have just a few bowls left over. The full recipe feeds 10! While I cannot share this recipe, you can (and should!) buy the book and cook along with us. It’s great fun! Every Friday we make a new recipe. Looking forward to next weeks! For details and to see how others are recreating the dishes from this awesome book, check out the FFWD site.